Experienced lens fitters would generally choose rigid gas permeable (RGP) lenses to treat irregular astigmatism, as visual acuity results are usually expected to be better. Depending on topography, the market at present offers a wide range of excellent lens designs. 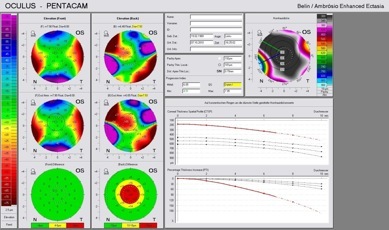 However, in many cases the problem remains that despite an objectively well-fitted lens, the patient cannot tolerate the lens, with a potentially high discontinuation rate due to a lack of comfort. Over recent years, silicone hydrogels have established themselves as a strong alternative to RGPs. This case will demonstrate the successful care of a burnt and cauterized eye with a multi-curve silicone hydrogel lens. A 25-year-old man sustained an injury to his left eye on New Year's Eve 2002/03 when fireworks exploded immediately in front of his face. The initial diagnosis at his local eye clinic was burn/chemical burn of the direct ocular surface and the adjacent structures in his left eye. The patient’s right eye was unaffected. After 17 days of acute medical care, the patient was transferred to an ophthalmological university medical centre where the first plastic surgery was performed on the left eye in 2003. Further stabilisation of the cornea was repeated in the following years. Despite surgical removal, recurring nasal conjunctival pannus persisted, which hindered the fitting of a RGP lens. Furthermore, an eyelid correction had to be performed twice, due to trichiasis. After a total of 13 surgical operations, including lamellar keratoplasty from the right to the left eye and stem cell transfer, the condition of the front eye section was stabilised by March 2009. During the hospitalisation and in an external contact lens institute, two attempts to fit RGP lenses were unsuccessful. 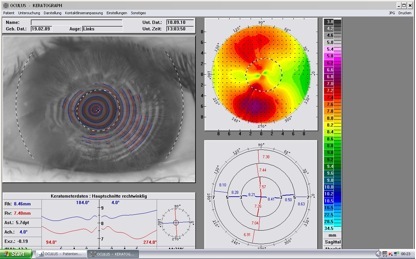 The patient noticed a gradual improvement in visual acuity after each treatment; nevertheless a satisfactory fit could not be achieved due to reduced comfort levels caused by the corneal and conjunctival erosion. The problem-free use of silicone hydrogel bandage lenses during treatment initiated the following approach. The healthy right eye did not require correction. Spectacles were not advisable in this case due to the anisometropia, which was not tolerable. Binocular balance testing (Schober) could not establish binocular vision. The agreed treatment target was to improve the monovision in the left eye and to achieve a measure of binocular visual function. Figures 1 and 2 depict the view of the cornea through the slit lamp with and without fluorescein. 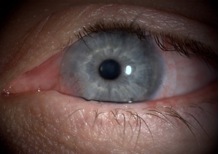 Figure 2 shows superficial punctate keratopathy in the inferior quadrant caused by the functunal restriction of the tear duct as a consequence of the impact and the resulting surgery, as well as minor triachisis. 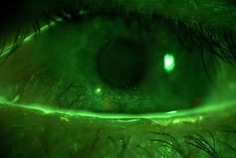 Due to the numerous actions taken to stablise the cornea, a minor corneal haze remained. 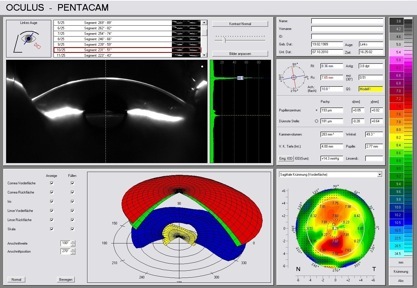 The topography and corneal geometry were obtained by keratography and Pentacam HR® (figures 3-5). The irregular corneal topography and reduced thickness is obvious. 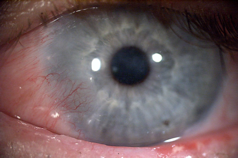 For this case, a conventional moulded contact lens was ruled out. The use of individual contact lenses was also eliminated due to the lack of suitable peripheral geometry ranges. A high Dk material was mandatory to supply the fragile cornea with sufficient oxygen. Furthermore, it was necessary to find an economic fit as frequent lens changes would be needed to reduce the risk of infections. Considering the parameters and challenges above, the Toris-OP by SwissLens SA (Prilly, Switzerland) was chosen. The Toris-OP is a soft contact lens for post surgical applications such as Lasik, Keratoplasty, etc. The lens is available in 2- and 3-curved back surface geometries with individual fitting parameters. For this particular case, the s1s design with 2 curves on the back surface was chosen. It was vital to achieve an acceptable optical zone with a satisfactory central fit to accommodate the nasal conjunctival pannus and therefore prevent a tight fitting. As a result of the eyelid surgery and the resulting reduced tear flow, attention was also turned to providing a lens with sufficient tear wetting to prevent further superficial punctate keratopathy in the inferior corneal quadrant. Spontaneous centering of the lens and stabilisation were good. However, lens movement was inadequate. The assessment with large molecular fluorescein displayed a very tight peripheral fit. The wearing comfort for the patient was consequently very good. After removing the lens, superficial punctate keratopathy was seen due to the tight fit in the lower eyelid region (figure 6). This and the over refraction were included in a second, flatter-fitting lens. The lens centered spontaneously and demonstrated noticeably better movement than the first lens. An over refraction showed an increase in VA from 20/50 to 20/30. Because the visual acuity improved, we decided to order a third lens with the same geometry but allowing for the over refraction. The lens stabilised well along 178˚ as expected. The movement and stabilisation settled after 45 minutes, with a constant VA (lens) of 20/30. The patient perceived the lens as noticeable but not uncomfortable (figure 7). We decided to proceed with a follow-up check after 7 hours. After 7 hours, the fitting performance and the vision were still constant and unchanged. Binocular vision was detected using the “Schober-Test.” The lens was easily removable. After removing the lens, assessment with the slit lamp showed that the cornea remained clear. A fluorescein assessment demonstrated that the superficial punctate keratopathy was unchanged and possibly improved (figure 8). The lens seemed to demonstrate a bandage effect on the cornea and protected it from dehydration, friction and erosion. Pentacam analysis showed no thickening or oedema visible. The third lens will provisionally be the final lens. If necessary, a further optimising fit will be conducted after 3 months. The patient has been cautioned about careful application of the lens, the necessity of good hygiene and compliance to prevent complications. Encouraged by its lack of preservatives and to achieve a good disinfectant effect, a peroxide system (AOSept®Plus by Ciba Vision) has been chosen. The patient was advised to thoroughly rinse the lens with NaCl solution prior to application. A frequent follow-up check is guaranteed due to 3 monthly change intervals. The achieved visual acuity of 20/30 exceeded our expectations. Without any considerable loss in comfort and corneal modification, a wearing period of 8-10 hours was achieved. With good tear care with wetting agents containing hyaluronate and dexpanthenol, the wearing period could even be increased to 12 hours. This multi-curve individual silicone hydrogel soft lens allowed the patient to see binocularly for the first time in 8 years. During sports, primarily fistball, the binocular vision resulted in an increased perception of ‘depth of field’ and assessment of speed, which was received very positively by the patient. Despite the initial skepticism based on the current opinion that RGP lenses are better for correcting irregular astigmatism due to higher visual acuity, it was proven that the choice of a multi-curve individual silicone hydrogel lens was successful. We attempted this fitting of an individual silicone hydrogel contact lens because two previous RGP fitting attempts had to be discontinued and because of the apparent challenge of the nasal cunjunctival pannus. We experienced good cooperation in this trail with Pascal Blaser, product manager of Swiss Lens SA. The choice of a high DK material with good surface wettability, such as Contamac’s silicone hydrogel Definitive Version III, was essential. 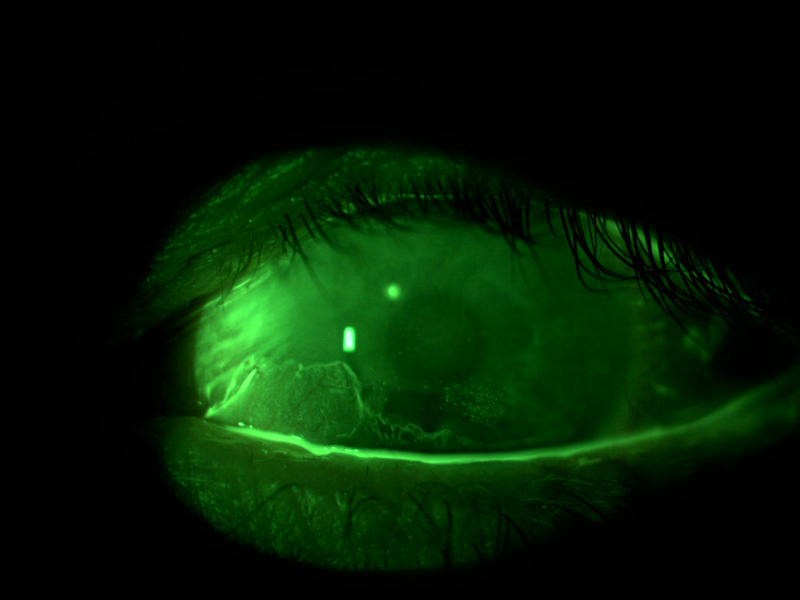 A regular check-up on erosion with fluorescein and monitoring of the cornea metabolism with inspections of haze, including checks on endothelial changes and oedema, are mandatory. On the part of the patient, good compliance with controlled wearing periods and suitable hygiene are required. 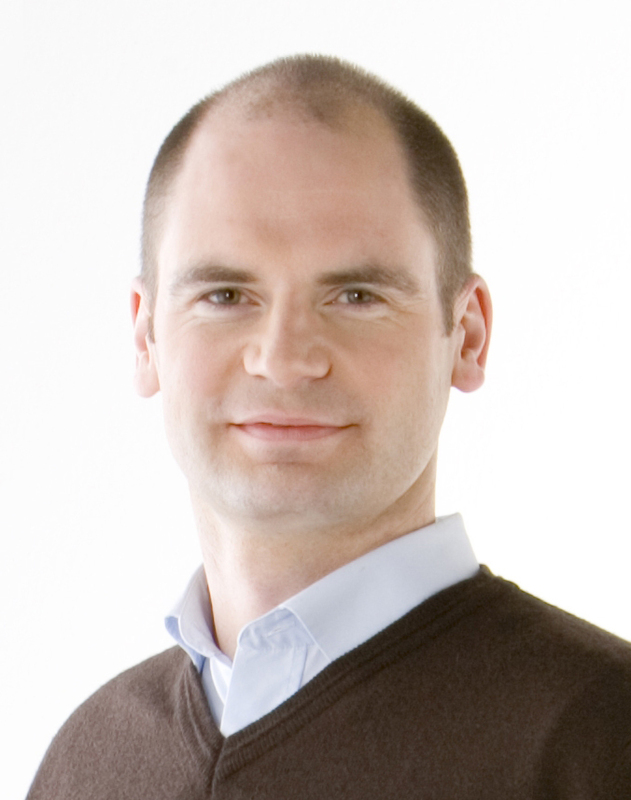 Stefan Facher graduated from the University Of Applied Sciences Aalen (Germany) in 2000. Since graduation he has been a practising optometrist at Institute of Optometry, Contact Lenses and Low-Vision at Degle Augenoptik, Augsburg (Germany). His clinical focus is on optometry and contact lens fitting, especially in exceptional eye situations. He has participated in several studies in contact lenses and optometry. Stefan is a member of the VDCO e.V. 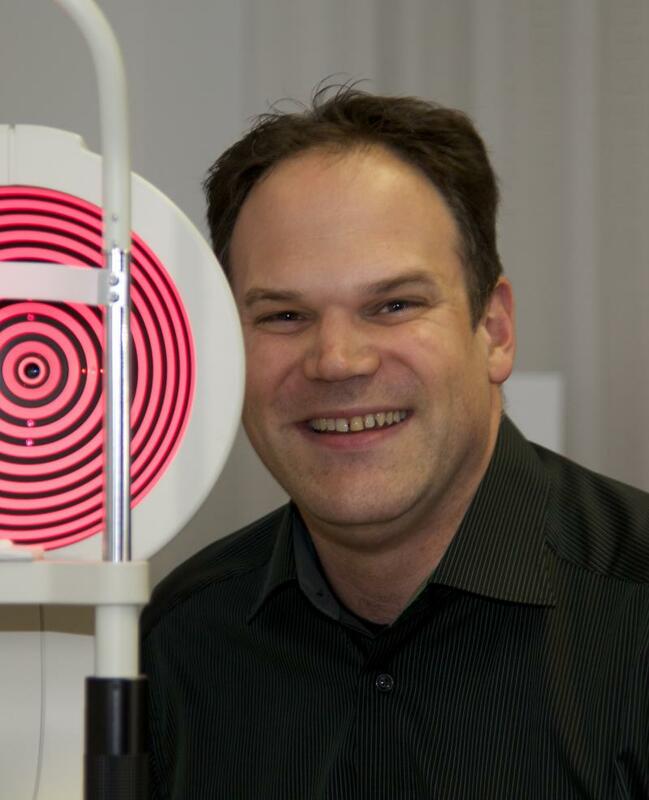 Stephan Degle has been Professor of Optometry and Ophthalmic Optics at Jena University of Applied Sciences, Germany since 2009. He is Head of the Bachelors Course of Optometry and Dean of the scientific advisory council of IAO (center of excellence in optometry and ophthalmic optics) as well as Head of Institute of Optometry, Contact Lenses and Low-Vision at Degle Augenoptik, Augsburg (Germany). His main research focus is on visual functions and digital media, binocular vision, aberrometry, astigmatism, vision and aging, and contact lenses. He has more than 10 years experience in Optometry, Ophthalmic Optics and Business Adminstration and 10 years industry experience in Training, R&D and management. He is a member of the Board of Directors of VDCO e.V. and author of several publications in national and international journals as well as a well known speaker on several congresses.